Residents, companies and organizations understand that water has become a major issue and is a precious resource in southern California. At the same time, most everyone is aware of or part of a non-profit group that can use additional funds to support worthwhile programs. Green Project Marketing is offering an easy-to-participate fundraising program that accomplish both goals. Save water. Promote water conservation. Raise needed funds. Any group or organization signs up with Green Project Marketing for a rain barrel - water collection system fundraising program. The program is open to anyone with a residence within the SoCalWaterSmart area, but we are currently working with LADWP and MWD customers. A receipt will be sent from Green Project Marketing to participant for total amount of rain barrels purchased. How much can our group or organization earn? With each household, this is $20/residence for your group or .org! For example, 75 households participating at two rain barrels/home = 150 rain barrels. 75 households x $20 = $1,500 for your group or .org! How does each homeowner receive 100% of upfront cost returned? Participant will fill out rebate application - HERE. Send in a copy of the receipt from Green Project Marketing. SoCalWaterSmart.com will provide a reservation number for the rebate. The name on the water bill must match the name on the rebate application in order to receive the full rebate. If a water bill customer has already received a rebate for their address, they cannot claim any additional rebates for the same device or measure type. Rebates are limited to one per measure or device type per address. Required documentation must be submitted within 60 days of application confirmation to be eligible for rebates. **Again, there are a limited amount of funds in this SoCalWaterSmart water conservation rebate program. There is not any guarantee on when this program will be suspended, altered or end. What does the standard program include? 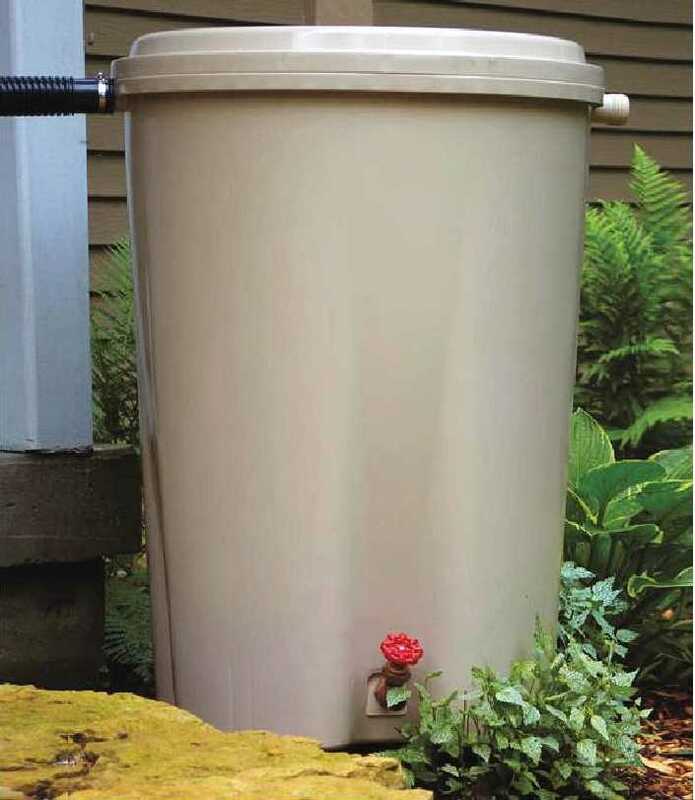 Purchaser of rain barrels would pick up two rain barrels each at a pre-determined location. Installation is performed by each participant. An instruction sheet will be provided to each participant. This will include a list of products to support program, e.g. rain gutter connector; pavers to raise rain barrels off of the ground; connector hoses; suggestions for water conservation. How soon can a rain barrel fundraising program begin? ***This based on full payment by minimum number of participating households. How does your group or organization get started? To raise needed funds for your group or .org, please contact Mike Stevens at 310–890–9182 and mstevens(at)greenprojectmarketing(dot)(com). TODAY!